Rugby league is a fast paced and intense contact sport, and good Rugby League boots can give you that might just give you that extra 1% to slip through a gap for the winning try. The whole body absorbs heavy impacts, sometimes taking hits from multiple opposing players during swift and forceful tackles. Your footy boots can help you evade those tackles, and help you maintain balance when you’re caught. To compete successfully as a rugby league player, you need a firm foundation that helps you absorb the big hits, accelerate quickly and turn sharply at will. Your Rugby League boots are your connection between your body and the ground, and they need to be able to support you in all of these functions. A good Rugby League boot consists of a strong but flexible sole, with several studs in place to grip the ground and preventing slippage. 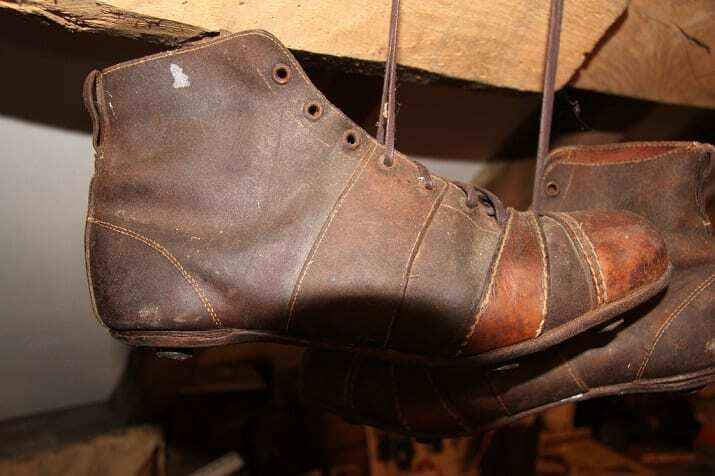 The body of the footy boot, or “upper”, consists of a tough shaped exterior, with strong unyielding material at the ankle, to assist players in making explosive and forceful movements. Here’s a guide to modern Rugby League boots, outlining the variations available, and how to get the most out of them. 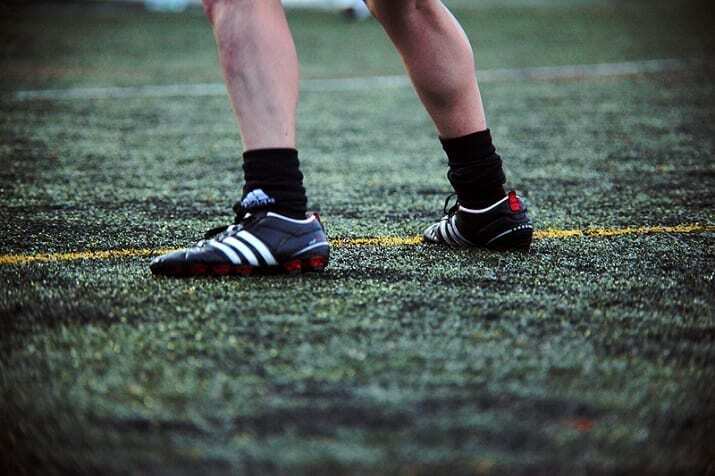 Although there are some flashy looking boots on the market, the best rugby league boot is the one that fully supports you in all the movements you make on the pitch. Look for function over form, and try and find boots that fit you as well as possible. That means snug-fitting, although it’s OK to allow a bit of extra room if you’ve still got some years of growing to do. Lightweight is great if you are after speed and agility, but forwards may prefer solid ankle support and halves may concentrate on a smooth textured boot surface and ‘good feel’ for kicking. 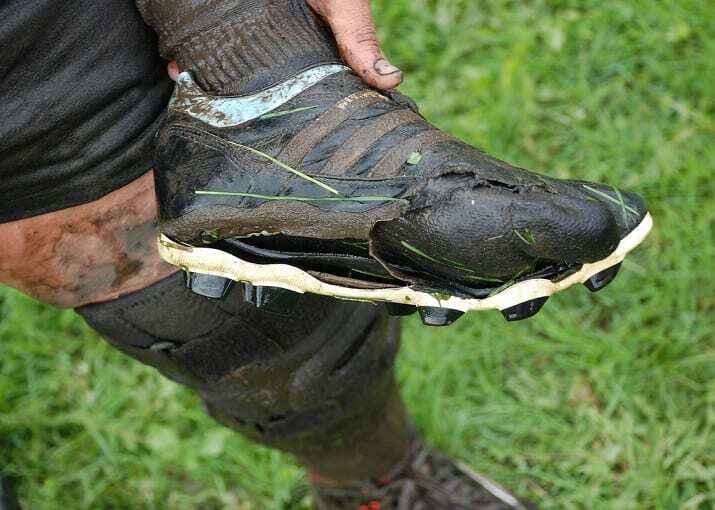 Traditionally, all rugby boots were made of tough leather, but in recent years, synthetic boots have made appearances at all levels of the game. There are advantages and disadvantages to each material. Leather moulds itself to your foot over time. This means, after a couple of months your leather boots should be a better fit than they were when you first bought them. However, leather does have one major disadvantage: it can warp out of shape in extremely wet conditions. The leather absorbs moisture, stretches and becomes heavy. So if you’re regularly playing in rainy conditions, leather boots may not be the best option – it depends on the weather in your climate. Synthetic rugby league boots are generally made from polymer blends. They’re a little less flexible than leather, and usually don’t fit quite as well. However, they do have their advantages – they’re less expensive than leather, and they’re resistant to water, so they won’t change their shape in torrential conditions. Their lightweight material can help you squeeze a little more speed out of your game. These are becoming increasingly popular. They’re designed to include the best qualities of both materials – the snug fit of leather, and the water resistance of synthetic. Studs: Short Or Long, Steel Or Plastic? As a rule, studs should be chosen according to the conditions on the day of the game. The muddier the pitch, the more useful a longer set of studs is. They’ll prevent you slipping in the wet conditions by providing you with a deeper foothold. Steel Studs are better on drier days – you’re less likely to slip, and you’ll enjoy some slight speed and agility gains from using them. Screw-in steel studs are generally used on leather boots, but also some synthetic and mixed too. The advantage of screw-in steel studs is that you can change them depending on conditions – short for dry, and long for muddy and wet. Metal studs need to be smoothed off, to reduce injury risk to other players. Referees will often check studs before a game. It’s also worth remembering that some longer Rugby League studs are illegal for use in Union games, due to the higher degree of raking present in the rucks and mauls. Many moulded synthetic boots come with moulded blade studs, which means you don’t need to worry about changing studs for different conditions. This may or may not be a good thing depending on the weather you typically play in! One thing to remember about molded plastic studs is that you’ll need to make sure the plastic hasn’t been damaged – sharp edges on studs are very dangerous in rugby league. It’s worth taking the time to find Rugby League boots that are a great fit, with studs appropriate for your games. A good pair will last you the whole season and support you in one of the most intense sports on the planet.